In May of 1977, Michael S. Sylvester founded Foam Seal, Inc. Polyvinyl chloride (PVC) foam cast onto paper, Mylar® or foil substrates were the principle products manufactured for sale into the automotive market. Used for gasketing, weather-stripping, or as a sound-deadening material PVC foam remains a primary focus. In 1987, Mr. Sylvester purchased a unique process for manufacturing silicone sealants and adhesives and added the name Novagard. Used in a variety of industries, including construction, window manufacturing and pool and spa fabrication, the silicone RTV product lines continue to expand. In December of 1993, keeping with the reputation as a leader in silicone technology, Novagard purchased the silicone Grease and Compound business and product line from General Electric. Novagard greases are sold through a worldwide network of distributors, as well as through our own marketing efforts. In response to a growing market share and forecasting an ever-increasing customer base, Foam Seal, Inc. moved into new facilities at 5109 Hamilton Avenue in January 1995. This location provides over 250,000 square feet of manufacturing, warehousing and office space. Hand in hand with the new facilities and to strengthen the position within the silicone RTV arena, the scientists at Novagard developed a patented UV cure, silicone technology. Created predominately for the electronics and medical markets, these materials, which also have applications in other industries such as automotive and general assembly, cure in less than one second increasing a customer’s product throughput to previous unobtainable levels. 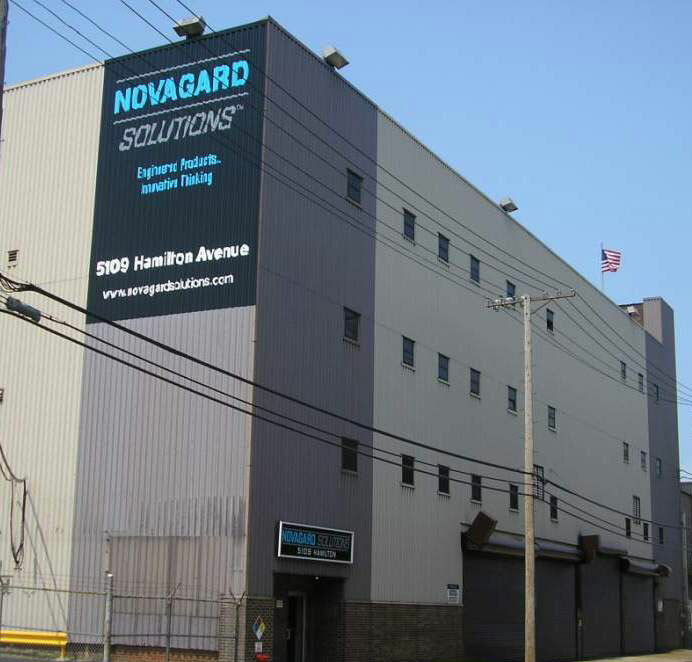 Novagard focuses on a growth strategy for the future through enhanced product offerings, market expansion, and by continuously introducing new products and new technologies such as NovaFlex Metal Roof Sealant, NovaBond Hybrid Construction Sealant, two-part silicone RTVs and automotive grade PVC foams. Our goal is to provide world-class solutions to your adhesive and sealant needs and to earn your trust every day. 1987 - Mr. Sylvester purchased a unique formulation and process for manufacturing Oxime cure silicone sealants and adhesives from a developer in Sweden and commercialized the products as Novagard® Silicone Adhesives and Sealants. 1993 - Novagard purchased the silicone Grease and Compound business and product line from General Electric and commercialized the products as Versilube® Silicone grease. 1995 - Foam Seal moved to a new location with over 250,000 square feet of manufacturing and office space located at 5109 Hamilton Ave which is our current headquarters and plant location. 2018 - Sarah E. Nash named Chairman and CEO. Michael Sylvester becomes President and COO.